Working at a preschool, it never ceases to amaze me how much “stuff” gets lost on a daily basis. From small toys the kids bring in for show and tell, to items of clothing, sippy cups, lunchboxes, and more. When I sort through the lost and found boxes each week it’s a huge relief for me when I find items that are labeled – makes it easier to get the right stuff back to the right people. Sadly, the boxes overflow with unlabeled items that no one can be certain are theirs. As camp season approaches and you’re packing up your child for either their daily excursions or sleep-away camp, be sure to label everything they bring with them to ensure that you’ll get it all back! If you’re looking for a great company that can serve all your labeling needs, look no further than Stuck on You. I received a Family Camp Pack for review from Stuck on You. This pack features 50 Classic Iron on Clothing Labels (2.1 x .3in. ), 25 Classic Small Name Labels (1.9 x .7in. ), 50 Classic Mini/Pencil Labels (1.8 x .2in.) and 10 Classic Shoe Dots (.9in. diameter). This pack sells for $49.95 and is the ultimate labeling pack for kids going to camp this summer. 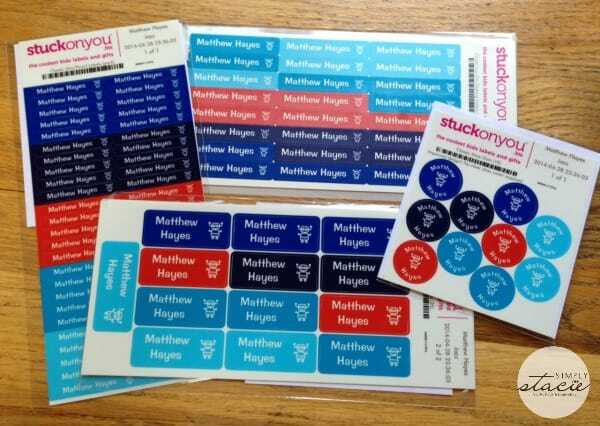 Ordering from Stuck on You is a breeze – you pick your icons for the labels, the color scheme, the font, and exactly what you want printed. I had my oldest son’s first and last name printed on the labels (with such a common first name as Matthew, I knew the last name was key!). I chose the “Jazz” color combo, which is a range of blues, with a robot icon and a Banana font. What’s great about this site is that you get a preview of what your labels will look like as you move along the process – so you don’t have to guess or wonder what the final product will look like. The labels arrived with full instructions on how best to apply them. When I removed the labels I was impressed with the strength and durability of them – these are labels that are made to last! 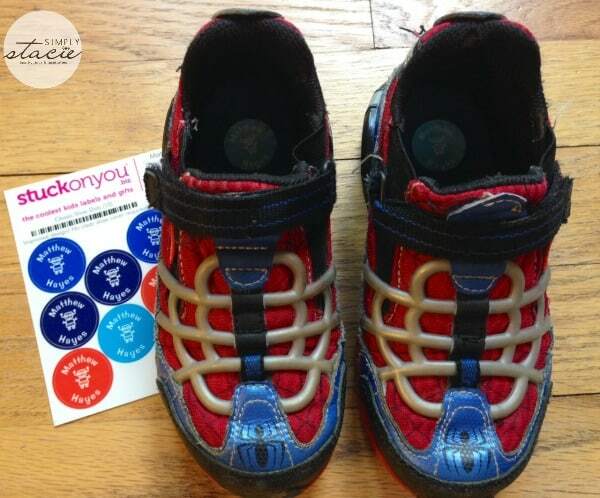 I started with the “Classic Shoe Dots” and placed one in each of my son’s shoes. They applied nicely and my son felt no difference in how his shoes fit or felt. 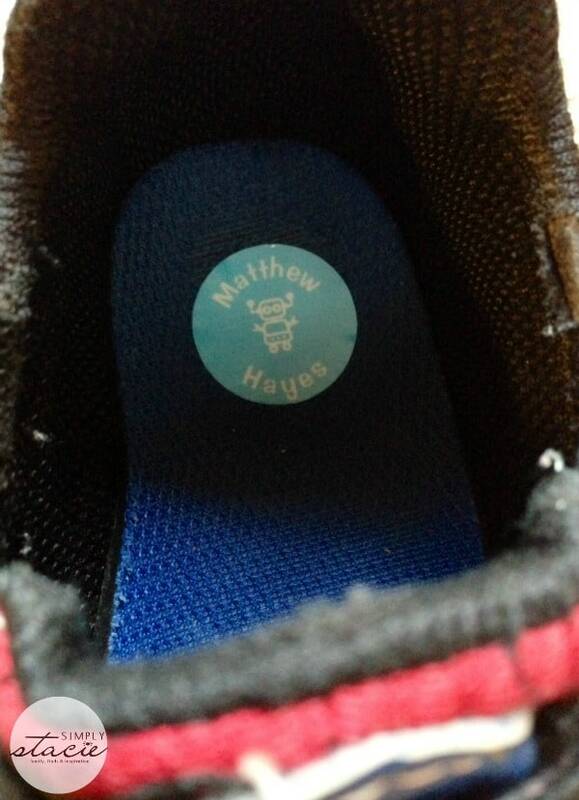 Bonus – these shoe labels are are sweat resistant and scratch resistant. The clothing labels are machine and dryer safe, and the other labels are dishwasher and microwave safe – so all your bases are covered, no matter what your labeling needs. I would highly recommend these labels to every parent with a child heading out to camp this year – and for all the kids starting and going back to school in the fall. Stuck on You was created in 1995 by a mom in her backyard, for her son who needed labels for daycare. Now, over 18 years later, Stuck on You offers a huge range of personalized labels and gifts and sells to hundreds of countries over the world. You can see all that they have to offer on their website. 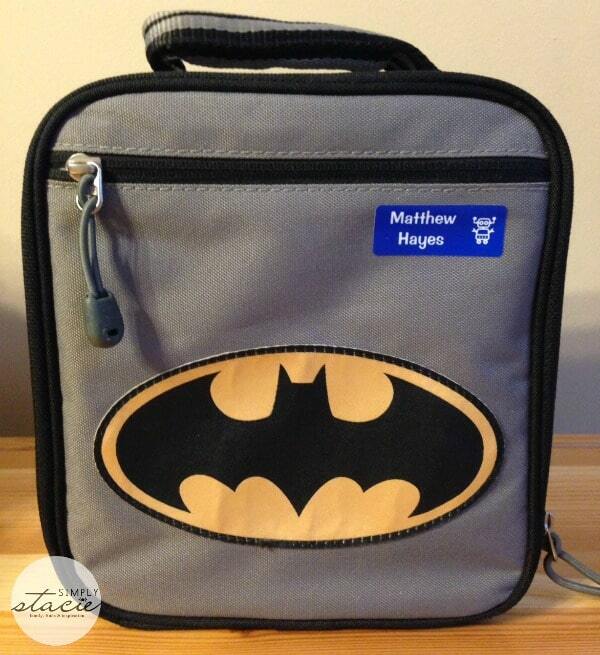 i would love to get the personalized lunch box, they are really cute. I think the name tags are just an awesome idea. As my grandniece starts kindergarten this year, any help in keeping track of her stuff will be a big help! I love the personalized luxury towels too. Thanks for this chance to win.